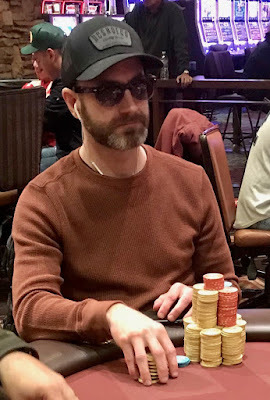 Five levels remain in Day 1 of today's $365 #TVWSOPCircuit Monster Stack and Jed @JCHAKnv Hoffman - 4th in last night's Omaha8 - leads the way with 360,000. 45 of the 376 entries are going to cash - yep, they'll make the money tonight - with $24,812 and a WSOP Circuit ring going to tomorrow's champ. There's two more 30-minute levels tonight and three 45-minute levels before the Bag-N-Tag takes place just before midnight.